Hello everybody, long time no blog D: Third year deadlines are slowly but surely coming to an end (thank goodness) and I've taken out a couple of hours to blog, before I hit the journals again. So back in January, I stumbled across these very familiar looking brushes on ebay and decided to pick up two sets, one for me and one for my mother. Unfortunately the seller from which I purchased both of these sets (yes I chose different sellers because I wanted to see if there was any difference), is no longer selling them...I don't know why this happens on eBay but there was hardly any difference between either set so I'll link another one at the end of the post if you want to purchase it yourself. The price of this seven piece brush kit is between £5-£6.50, so of course as it was such a bargain I had to purchase it and I have not been disappointed! 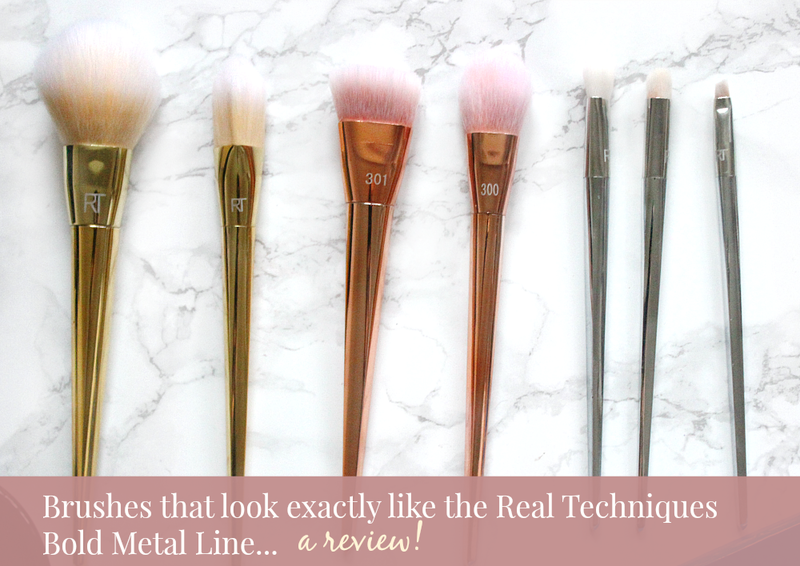 Now before we get into individual reviews, you may be wondering why I haven't called this a dupe post...well the thing is I don't own any of the original bold metal brushes. For my budget they're a little too pricy and I'd much rather spend £20 on a NARS blush, or put it towards an eyeshadow brush set from Zoeva, so I wasn't ever compelled to purchase any of the brushes. Not that they don't look beautiful! I'm just quite the savy shopper haha. 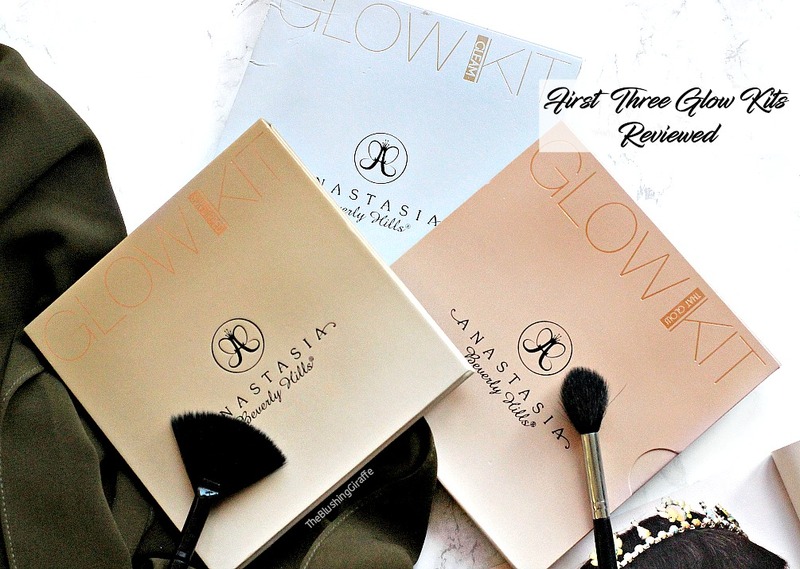 Therefore calling this a dupe post would be untrue, I'm not comparing these directly to the originals (although they have cheekily included the RT initials on the barrel of the brushes too!) as I haven't used them, but from whatever knowledge I may have of specific brushes I'll do my best to comment. Starting with the obvious the original bold metals brushes are actually made from metal and feel heavy and weighty when you pick them up. 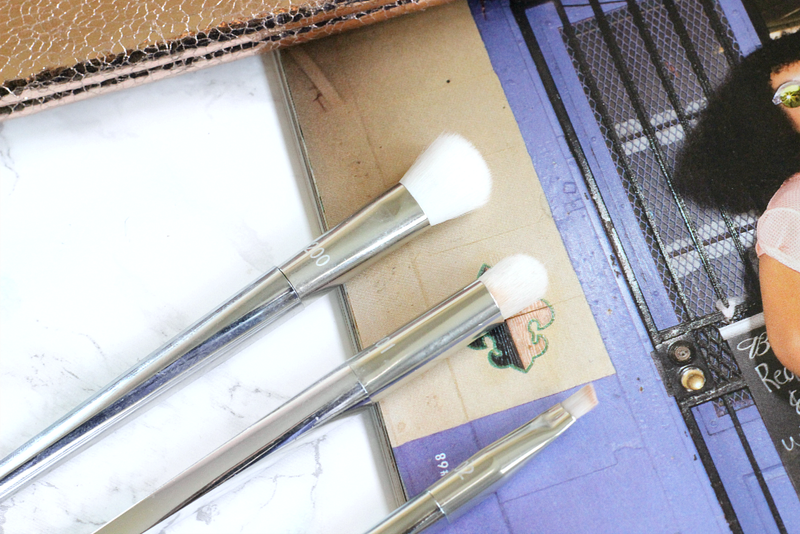 These brushes are most certainly not made from metal, they're created from plastic and are super lightweight. The bristles are incredibly soft as they're synthetic and each brush works well with powder, cream and liquid products. Also all of these brushes have the same name as the originals, so let's get into the details shall we! This brush is great for applying powder, the bristles aren't very dense so it doesn't pack on the product which is exactly what I look for. I'm not a fan of a powdery face, however having an oilyish T-zone means that a bit of setting is required in order to keep the shine away. 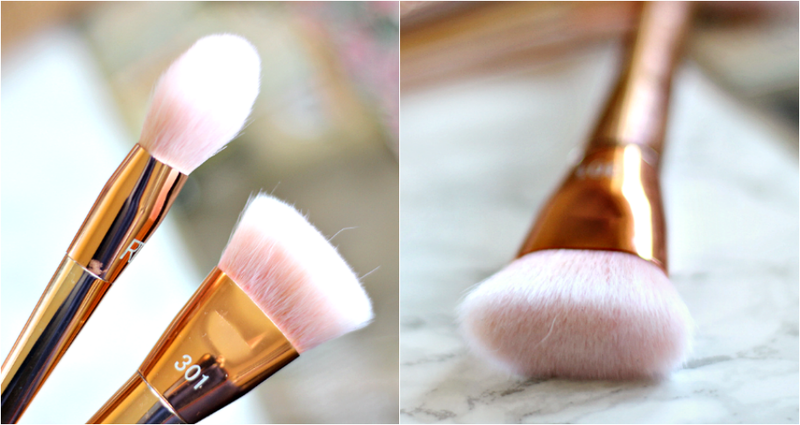 A quick dip of this brush in powder and swish onto the face is perfect and it takes less than 3 seconds. I also enjoy this brush for bronzing up the skin, again the fluffiness of the bristles means it evenly distributes the product on the skin. Also the barrel of this brush is ever so slightly squashed, which makes the width of the head a little elongated, again making it easier to apply bronzer to a designated area. On simple makeup days, a quick sweep of this along the cheekbones creates the most effortless definition and warmth at the same time. I have to say this brush was the one I was most dubious about, it's definitely very unique! The shape is a 3D triangle, with three flat sides and it ends with a neat little point at the end. I checked out some of the reviews of the original (which costs £22 by the way!) and there were some complaints of it being rough and scratchy. Like I said I can't speak for the original, however this version is lovely and soft to use on the skin. This brush really surprised me too, it's a lot more useful than it looks. I enjoy it for applying and blending out concealer, cream contour and most surprising for me, it works well for setting the under-eyes and baking with loose powder too! Probably the best thing about this brush is that you can use each side for a different purpose in one use. I'll blend my concealer in with one side, apply and blend contour with the second and with the third I apply powder. It's a fantastic brush for travelling - for obvious reasons! Both the rose gold brushes were what I was most excited to try, I mean a girl can never have enough blush or contour brushes am I right? heh. If any of the original brushes tempted me, it was these two but I'm glad I held back and purchased this set instead now! One of my favourite brushes in the set by far! The head is small and tapered, ensuring you can apply blusher just on the apples of the cheeks without going all clown faced. Similar to the powder brush, this also has a squashed barrel (which you can see clearly in the next photo I hope) so this adds a flatter dimension to the brush. I wasn't sure if this would be helpful at first, however it makes the brush more versatile, you can use it for highlight, blending out contour using the tapered tip, or simply using the flatter side of the brush to pack on pigment onto the cheeks. I personally LOVE blusher, my makeup isn't complete without it, however I like to apply it directly over my contour line and blend it in. This gives me more of an elongated lifted look and I highly recommend you try it, rather than popping blush all over the cheeks if you have a rounder face. 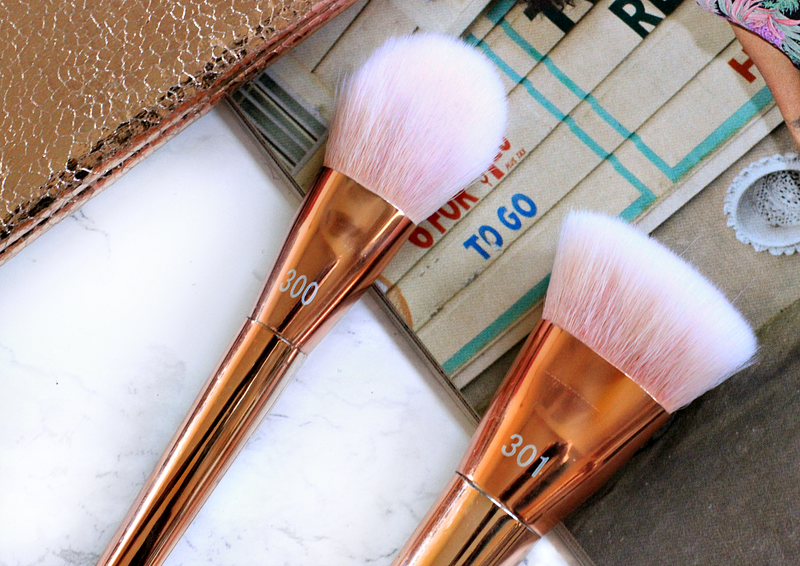 This isn't my all time favourite blusher brush, but it's landed a spot in my top three and I think everyone could find a use for it in their everyday makeup routine. I noticed straight away that this brush isn't the best copy to the original one, which seems a lot more rounded and neat. As you can see there are to stray hairs - not a big deal and probably quite expects. But the main difference is that this brush has one flatter edge and one rounder edge. The second difference is that this brush seems to be wider in diameter to what I expected. This means that when blending out contour, it's a lot easier using the rounder edge on the side, rather than straight up using the flat part of the brush. I tend to use this brush more when I'm using cream products, or if I'm using a powder bronzer it'll be lighter shade. Sometimes with a strong bronzer colour it can look a little harsh, however it's all about control and practice. 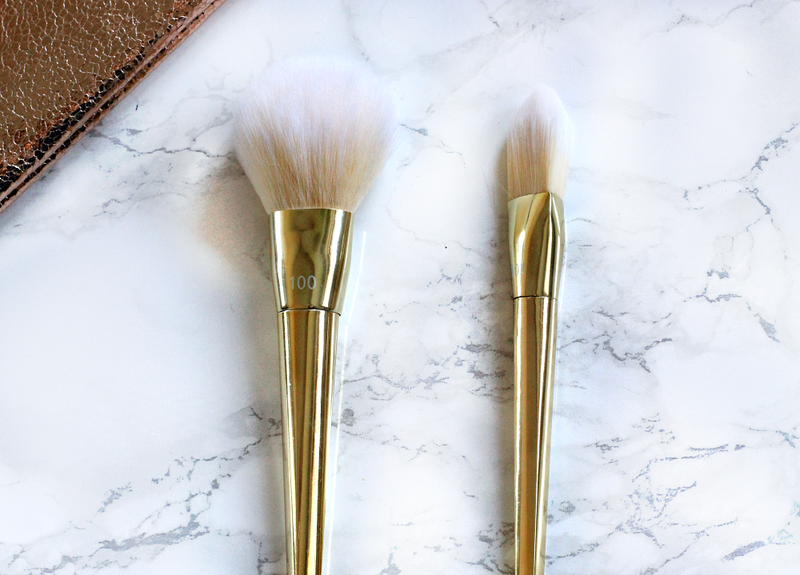 I am much more used to using a small round brush for contouring, over this style of brush and I haven't fallen head over heels for it - but it's a nice addition to my collection. Finally we have the eyeshadow brushes, which I didn't have any expectations for and certainly wouldn't spend the full price for any of them - MORPHE/ZOEVA have my heart instead! This is a great brush for quick shadow application all over the lid. When I only have 10-15 minutes to do my makeup I tend to use one side of this to blend out concealer around the brows (a new thing I've been doing which has made the HUGEST difference!). I'll then flip over the brush and use the other side to set a base shadow all over the lid and it's a great brush to have as it blends out cream and picks up powder with ease. Not great for precision work at all, but everyone needs a large shader brush! This brush is pretty decent, but nothing outstanding. I use it to add depth to my crease, but as the size is medium, it's not great for blending out, nor is it good for smoking out the lower lashline. The two primary uses are really to add a deeper shadow into the crease, or to blend two shades together on the lid. It's also decent for adding a bit of inner corner highlight and I guess it would be good for pin point concealing too. It's not a must have in my opinion, however it's a nice addition. I didn't really bother with this brush for a long time, however I've recently misplaced my ABH brow brush so I started using it with the dip brow pomade and I really like it! It is firm enough to add shape and small enough to give you control. Best brow brush ever? No. It is a very welcome brush in my stash though, as I seem to lose eyebrow brush left, right and centre! So there's my review for the set everyone! If you're interested in buying it here is a link. I would recommend it if you're looking for some newer brushes but don't want to spend more than a tenner. I could do most of my makeup with a beautyblender and just this set, which is pretty awesome ^_^ There are obviously some brushes I like and use more than others, but I have genuinely used each brush a handful of times, washed them a few times too and been very impressed. They feel pretty cheap but they do the job good enough for me. 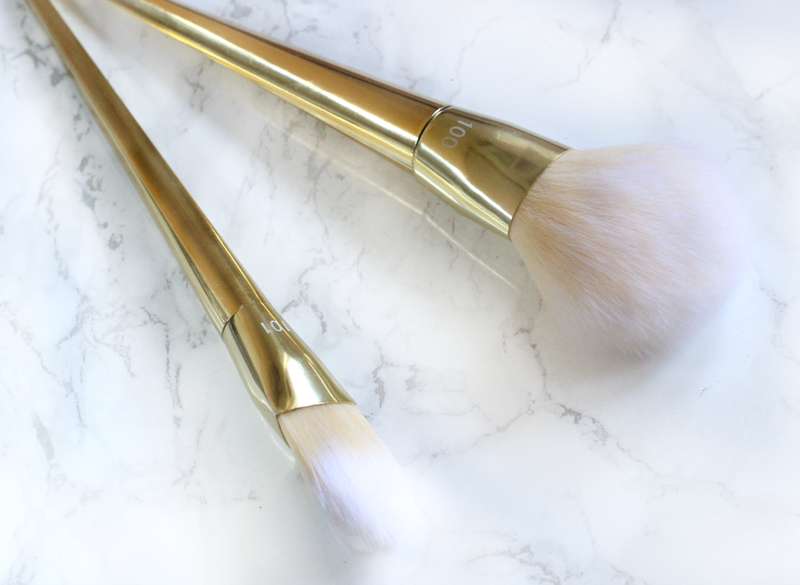 Do you own any of the Bold Metals brushes? Would you recommend splurging on any in particular?